Senate GOP leaders are crafting 11th-hour changes in their last-ditch Obamacare repeal bill to win over Sens. Lisa Murkowski of Alaska and Susan Collins of Maine, and the revised legislation may be released this weekend, Politico reports. Republicans are considering delaying the implementation dates of the bill, which would end Medicaid expansion, cap federal Medicaid payments, and require states to launch their own systems in 2020, GOP sources said. The bill’s chief authors, Sens. Lindsey Graham of South Carolina and Bill Cassidy of Louisiana, reportedly are also tweaking the funding formulas to ease the funding cuts for at least some states. Analyses of the Graham-Cassidy bill by independent groups show both Alaska and Maine would suffer significant reductions in federal funding for coverage subsidies, Medicaid expansion, and traditional Medicaid compared with current law. By 2026, Alaska would see a $1.1 billion, or 65%, reduction in funding, according to a report by Manatt Health done for the Alaska Department of Health and Social Services. 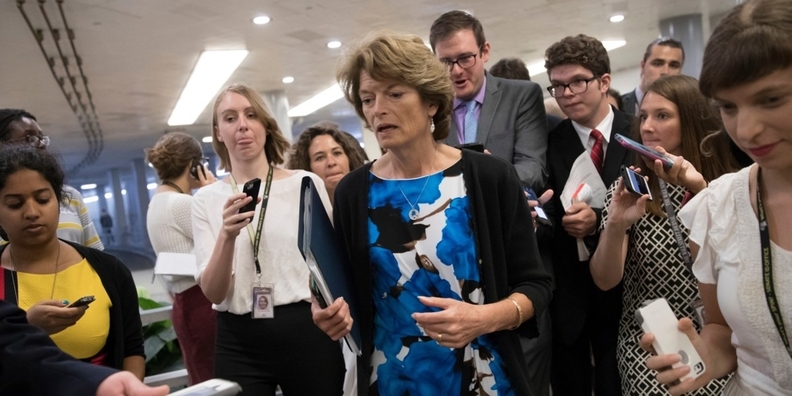 Senate GOP leaders need both Murkowski’s and Collins’ votes, since Arizona Sen. John McCain came out against the bill Friday and Kentucky Sen. Rand Paul has said he won’t vote for it. Senate Majority Leader Mitch McConnell wants to bring the bill up for a vote next week and needs the votes of at least 50 of the 52 Republican senators to pass it. Other undecided GOP senators reportedly include Jerry Moran of Kansas, Rob Portman of Ohio, and Shelly Moore Capito of West Virginia. President Donald Trump tweeted Saturday that McCain had “let Arizona down” by opposing the bill. He suggested that Murkowski and Paul still might be won over. "I know Rand Paul and I think he may find a way to get there for the good of the Party!" Trump said. "Alaska had a 200% plus increase in premiums under ObamaCare, worst in the country. Deductibles high, people angry! Lisa M comes through." As of Saturday, the Senate Finance Committee still plans to hold a hearing on the Graham-Cassidy bill on Monday.